Have you ever noticed, that the simplest things in life appear more complex, once you look a little closer! If you haven't, try going for a little stroll, and really examining the world of wonder, beneath your feet. You'll find a surprising array of colours, textures, and shapes, each one more complicated than the next! The world is full of designs, and design principals, but the one I seem to have adopted lately, is what I like to call, "Complicated Simplicity". As a fairly informal person, I find myself designing, and reaching for simple jewellery pieces, that consist of multiple elements. Now that's not to say, that I'm not tempted by other styles, but this just seems to fit my current lifestyle. Am I allergic to bling, or do I simply find this casual design style, more comfortable? Of course, I reserve the right to change my mind, because I do love other styles, and a little sparkle is good for the soul! "Complicated Simplicity" plays a starring role, in my intuitive design process. 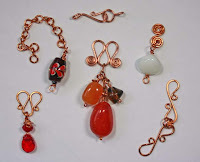 I start by buying a few pretties at BeadFX, pull some elements from my stash (either handmade or not), and then perhaps, cutting up something vintage. The pile on my bead mat gets higher and messier, until my muse jumps to the rescue, and items are eliminated. Let's call this an audition process, or rather, a beady "cattle call"! When the pile reaches a manageable size, I start the shell game, of moving items into a pleasing configuration. I add, subtract, and move things around the bead mat, until I'm satisfied with the results! Then the construction phase begins! I admit to being a rabid lover of techniques, so it's not surprising to find multiples of them, showing up in my pieces. 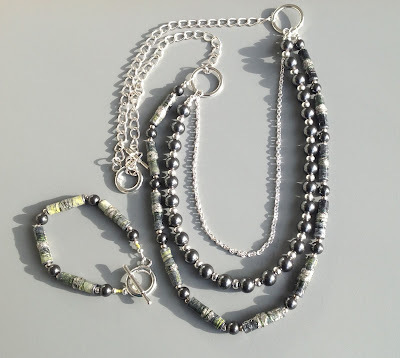 For instance, you could take a handful of paper beads, mix them with a little chain, then add Swarovski Pearls, using stringing (or you could even try wire wrapped loops), for a one of a kind necklace! 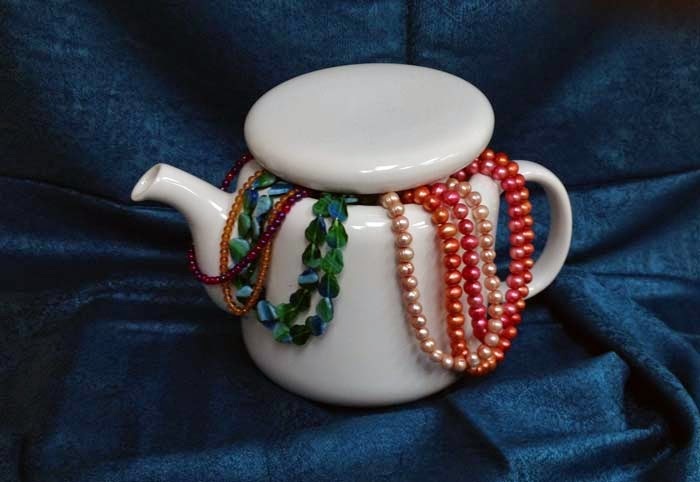 Or how about an Intuitive Bead Embroidery piece, combining different sizes and shapes of seed beads, with crystals, pearls, cabochons, stones, family buttons, metal, broken jewellery, left over chain, and perhaps a rusty bottle cap (but not necessarily all in the same piece)? Limiting colours, simplifies the piece, while adding multiple textures and techniques, adds an interesting level of complexity. I didn't say that the life of an intuitive designer was easy, did I? I design on the fly, and rarely use a sketchbook! When I do break out the pencil and paper, it's normally to capture a simple shape. I sometimes wish that I was more disciplined, but I suspect that my creativity might suffer, if I tried to restrict my free and easy style. I love beads, and I love techniques! I try to keep my work fairly simple, but my intuitive nature, has been known to bury me in an avalanche of ideas. Not necessarily a bad thing, but it can, and does, complicate my designing life! Who needs sleep, anyway? Does anyone want to share my pain? October -- cooler evenings, the wonderful colours of leaves, Thanksgiving, pumpkins -- and the realization that Christmas and other gift-giving holidays are only two months away! Make your gift-giving easier by making a piece of jewellery for your friends and family! Why not give a gift of a class to someone special - including yourself! 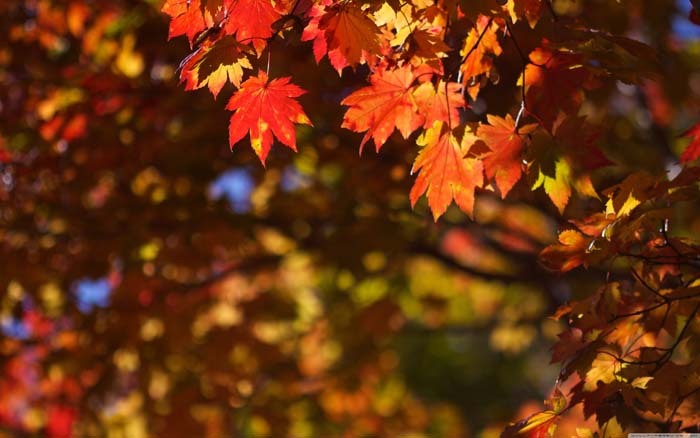 We have lots of options and choices in October! 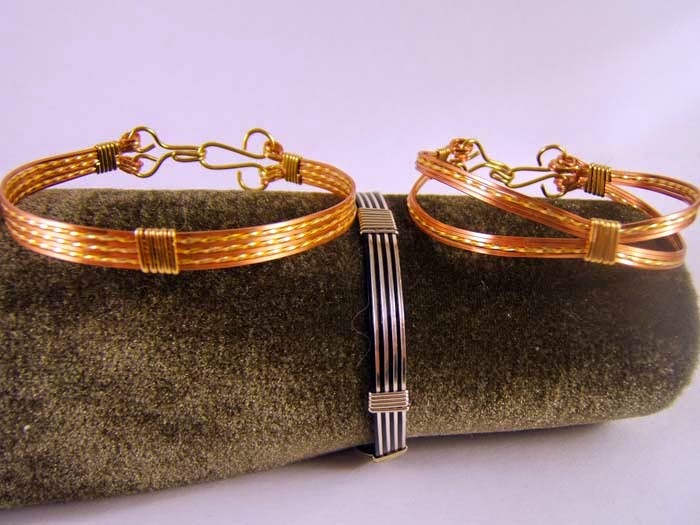 Deborah Beesley is showing how to use wire to make jewellery components. 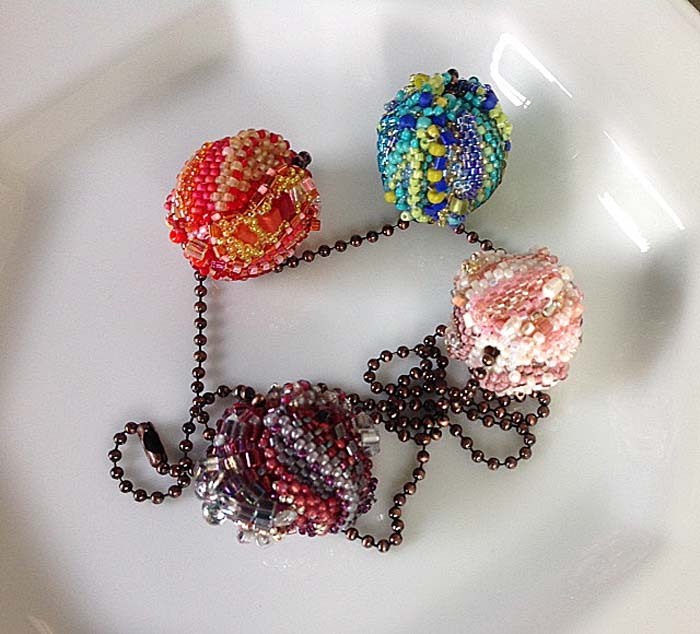 Angela Peace is teaching a daytime 'newbie' class on Cavandoli knotting. 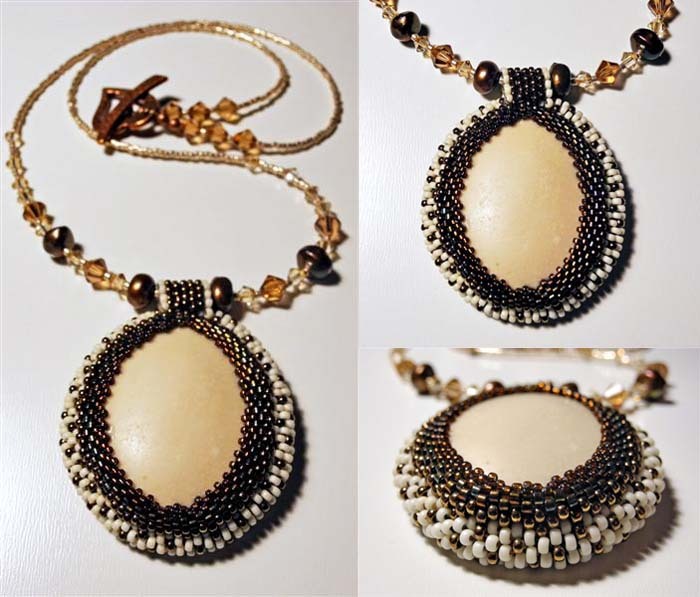 Bonni Poch is taking students to the next level of bead crochet by showing how to join ropes and even how to create a bezel using a bead crochet rope. 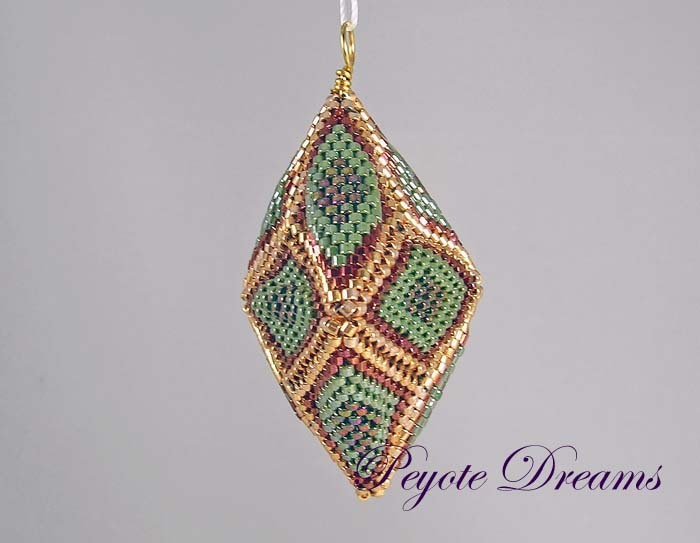 Anne Marie Desaulniers will show to create beautiful beaded beads using freeform peyote. 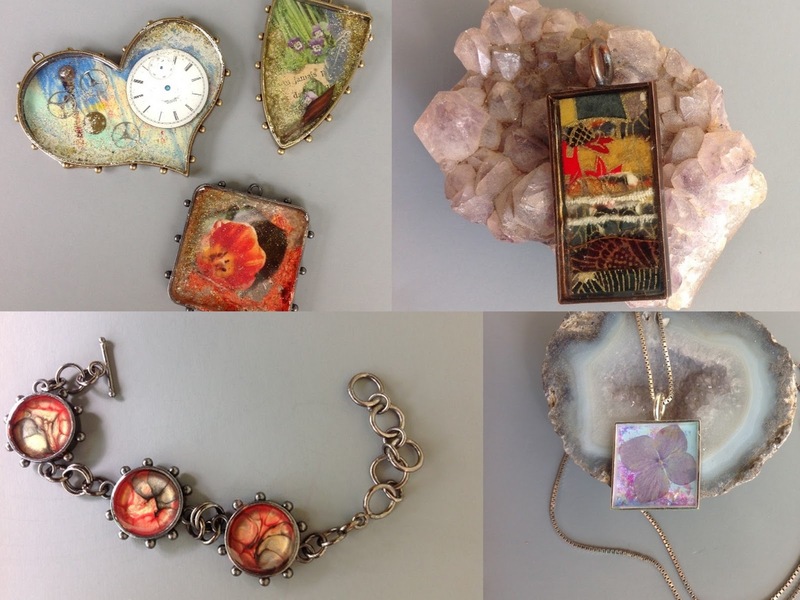 Cindy Goldrick is teaching two advanced enamelling techniques and flame enamelling and Christine Woollacott will also teach enamelling enthusiasts how to incorporate dichroic elements into your enamelled pieces. Of course, we also have lots of returning and encore classes! For complete information about each class, including course descriptions and applicable fees, please see our website. Click on 'Classes' to go to the October calendar. I got hooked on enamelling a few years ago, and I've spent a lot of time sharing the techniques, tips and tricks I've learned and discovered. But there's so much more to enamelling and so much left to learn and apply. Beadfx has great classes with the talented Christine Wollacott that cover timeless cloisonne enamelling techniques that include champleve (where you carve or stamp channels into metal and fill them with enamel) and plique a jour, which is like cloisonne but there's no backing, so the light can shine through the vitreous enamel. 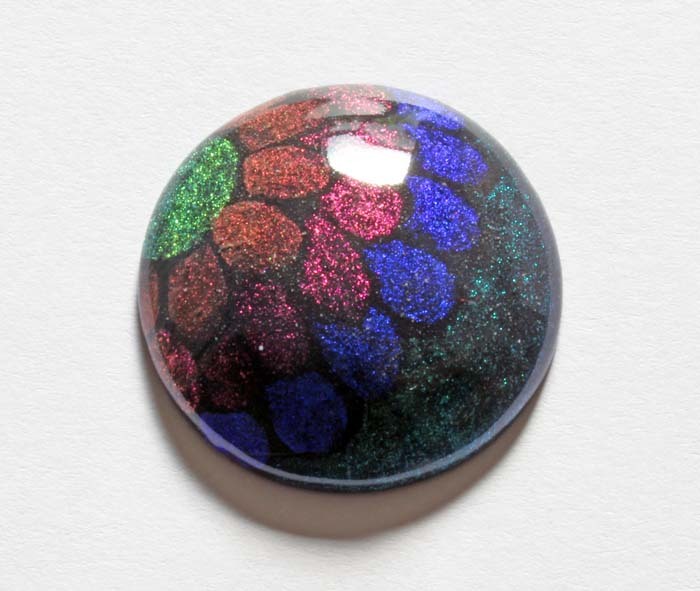 It takes skill, talent and patience for enamelling this precise and I'm in awe of current and past artists who've created enduring, stunning pieces using these techniques. You should check out Christine's classes if you want to learn more. Since I'm a huge fan of fluid creativity and instant gratification, I tend to work in enamelling techniques that give me the option for both. 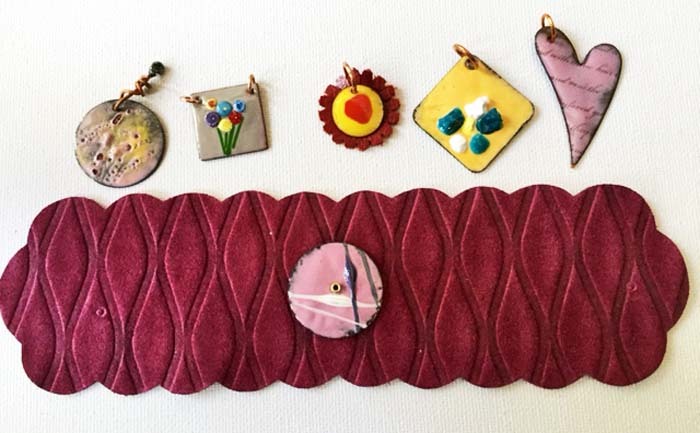 So, for those of you who are ready to explore beyond the basic enamelling techniques, I'm happy to offer, this Fall at Beadfx, several new enamelling classes. In fact, this weekend I'll be starting off Saturday morning with a torch enamelling class that takes you beyond the basics. You'll learn how to add to your design with various glass materials like cattails, whiskers (stringers), millefiori (very tiny glass cane slices), Carefree Lusters and more. This will take your finished pieces to a new and exciting level. Then, Saturday afternoon, we will tackle the beauty and free-form style that comes from flame enamelling, also called painting with fire, the Barbara Lewis way. Fire, dip, fire, dip, build up coats of enamel on round metal beads, flower and leaf shapes, then add decals for decoration. No counter-enamelling here, folks. We'll start with enamelling balled headpins then move on from there. This technique is fun, unpredictable and often frustrating, but the results can be amazing, so it's good to persevere. On Sunday, October 25, just after my return from France, I'm going to take you on a fun enamelling journey when we apply the basics of the raku technique we all know and love on pottery to the world of metal. You have to see this technique to believe it. As always, there's fire involved, but we add to the mix burning paper and herbs, lovely blue and green transparent enamels and a whole ton of unpredictability and you will be thrilled and excited by the results. I'm so in love with the technique right now: the pendants I've been creating for sale at a collective here in St Catharines are just flying out of the store. If you can't make it to a class, there are tons of online resources. I think I might have listed some of them before, but here are my favourites. Have fun playing. To whet your appetite for painting with fire, here's a flat dog tag enamelled and decorated in under 5 minutes. Wow! The Business Chat - Go ahead, say it, "I am an ..."
Recently I was asked to fill out a media profile for a show and this was the first question on the list. It stopped me for a minute. When people ask you what you do, how do you respond? The answer to this question has a lot to do with how long you have been making your craft and how confident you are in your work. Like many others I dabbled all my life with crafts but I would never have used the A word (artist) to describe myself. Oh no, not me. I did the maths and science thing in school. I worked in business. My mother and sister were in the arts. But not me, I was absolutely not an artist, nor an artisan, not a crafter, not even creative. It took me about 3 years of being a full-time seller of my work before I could use this word. It still felt fake, like I was talking about someone else. It took another year or so before I could not only use this word to describe myself but to actually feel like it was who I was. Me, I am an artist. I actually like the word Maker. I am a Maker. Growing into your persona as an artist/artisan means growing into your confidence to promote yourself and charge what you are worth. It is a necessary step to thriving in an arts career. At high end craft shows every vendor refers to themselves as an artist, we have been doing this long enough that of course we’re artists. At small shows, where it may be someone’s first time selling try asking the vendors if they are the artist. Watch their body language. We’re back to the squirming and not making eye contact. The word “artist” sits heavily on them and it’s like a costume they’re trying on. You need to grow into the word and learn to take ownership of it. As an artist you have the right to charge for your time, for your skills, for your sense of design and your imagination. Being an artist, artisan, crafter or maker is a valid occupation. It is more than an occupation, being an artist involves using your soul as well as your imagination and your brain. Being an accountant is an occupation, being an artist is your life. It is a scary thing to put your whole self out there for the world to see. 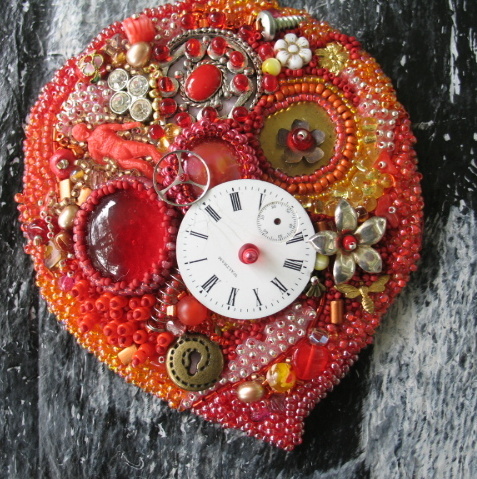 People who chose to buy handmade do so because they are looking for a connection with the maker of the work. If a customer just wanted a pair of earrings they would go to a mall. Customers buying handmade work online or at a show are looking for a story, an insight into your work, a piece of the creative magic that is you. They want to meet the creator. You cannot fidget or squirm, that doesn’t give them confidence in you. Do not denigrate your work by trivializing it, “oh it’s nothing really, just something I do in front of the TV”. (Seriously, I heard someone describe her paintings this way). When someone asks “are you the artist?” this is your cue to stand tall, look them in the eye and say “yes, I am the artist/artisan/crafter”. Own the word. Stand in front of a full length mirror and practice it. So let me ask you, how do you refer to yourself? sorts of things: aurora borealis, beetles, and peacocks made the list. the crystal sparkle in various shades of blue and green - pretty! We're still re-organizing and sorting - ok - you know what - when you are into beads, you spend a lot of time sorting anyway - but the point is, that we are moving stuff out to make more room! And you get the bargains! Once upon a time, there was a mighty family of beads - The Firepolish Family. These glass beads came in many sizes and shapes, and many, many colours. And, in fact - they still do come in many sizes, shapes, and many, many colours. And life was good. And still is. But then, there came the True 2 mm Firepolish. Because the OLD 2 mm Firepolish was a bit bigger than 2 mms, really. And the new 2 mm firepolish, well it's more like 2 mm x 1.8 mm. It's the new, modern lo-cal, diet 2 mm firepolish! And it just slots into your bead weaving, or makes a great accent bead, or a good spacer bead between bigger beads in stringing. Lots of designs that call for 2 mm metal rounds - you can add colour with the True 2 mm Firepolish. And now we've got all those new pastel colours! And what do you need to go with those True 2s? 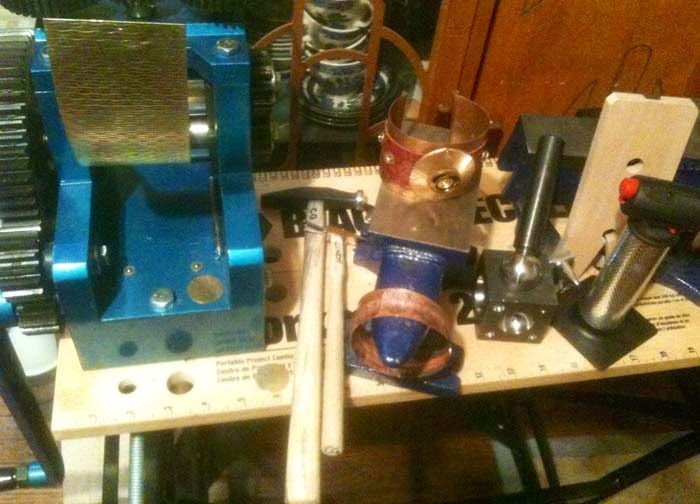 Well - if you are making a beadweaving project with Miyuki 11/0s, how about some more choices there? Because we love to make your decisions harder by giving you more choices! 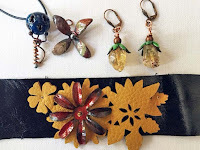 And if you are feeling a little restless and want to expand your horizons - and maybe investigate this Mixed Media stuff you are hearing about ... you could start with Mixed Media Jewelry - Essential Techniques. Mixed media is more that just resin - it's combining all those other things you've dabbled with over the years! Paint, fibre, metal smithing, collage, rubber stamping, alcohol ink, glitter glue, polymer clay, dried macaroni. It's all fair game in the world of mixed media. And don't forget - if you love a bargain - more items in the Disco section - that's discontinued and discounted to move! As ever - the new items can be viewed here, or click on a link or image and hop directly to that item! Cheers! Today, we're going to chat about the wonderful world of metal bezels! 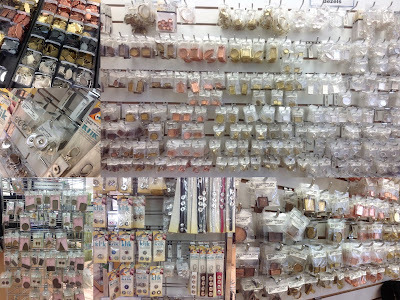 As you can see from the photographs, BeadFX has quite an extensive collection, which is great for aspiring mixed media artists (all that metallic bounty in one place)! I'll let you in on a secret though; you don't really need to know anything about mixed media, to use these remarkable products. Bezels are versatile, and suitable for an endless variety of uses. 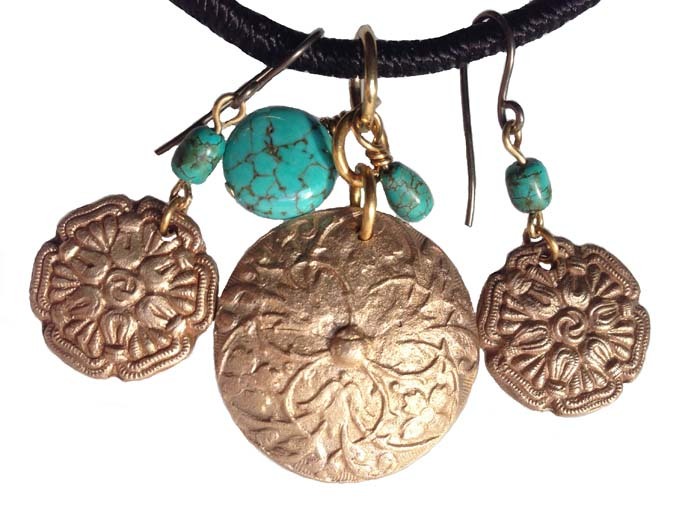 We even carry the popular Susan Lenart Kazmer, Hobnail bezels and the Klick line of interchangeable components. Believe it or not, I haven't tried everything yet, but imagine your bezels, filled with any of the following: collaged paper, photographs, downloaded images, pencil sketches, minature landscapes, old love letters, a child's art, postage stamps, paper napkins, ephemera, text, commercial and hand painted papers, eggshells, broken china, sea glass, fibre, dried flowers, charms, beads, glitter, shells, and even more! Didn't think of that, did you? If that's not enough, you could also fill them with either Crystal Clay or Apoxie Sculpt, and then embed Swarovski crystals, old keys, watch parts, game pieces, or other exciting stuff, and wait for it to dry! Don't you just hate, waiting for things to dry? But what about Polymer Clay (PC), you say? I'm sure that someone out there, has been purchasing bezels, and filling them with all types of PC. They're metal, aren't they? So why couldn't you bake them at low temperatures? I'm not telling you to do this, but in the spirit of experimentation, I just might! The official disclaimer is.....do this at your own risk, as I don't know how the coatings and finishes will react.......but I'm a Mixed Media Artist, so serendipity is my friend! Besides, I like the distressed look!!! You've filled your bezel, so now what do you do? More choices! 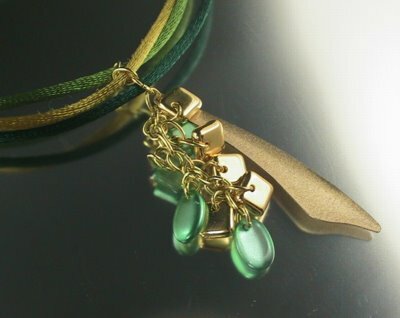 You could top it up with Ice Resin, after adding a lovely edging of Iced Enamels, and perhaps some of their Inclusions. How about trying one of our glass tiles (but not all will fit)? You wouldn't need more than "a little spit and polish", for the various clays.....unless you'd like to add a dab of Renaissance Wax. A few of my images to tempt you! When using paper products, with your resin, remember to seal carefully. Mod Podge or white glue is recommended (as are other types of collage or decoupage mediums), but don't forget to seal the front, back and edges, to avoid staining. Botanicals should also be sealed! Mix the resin slowly and carefully (instructions on package), wait five minutes, and then add to the bezel, a little at a time, to avoid air bubbles. Pop any that you see, and don't forget to cover your pieces while they dry.....no dust motes, or cat hair allowed!!! If you're not yet confident enough, to do this on your own, or just like the structure of a hands-on class, check out my November Resin workshop. It's not on the schedule yet, but it's definitely in the works (and you could probably get yourself on a waiting list). Keep tuned! CreativFestival celebrates all things creative - beading and jewellery making; fashion sewing; quilting and surface design; felting and fibre arts; needle arts; knitting and crochet; crafting and paper arts and so much more! 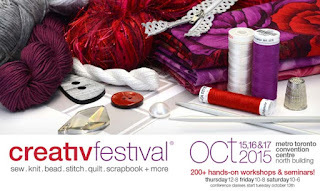 BeadFX is proud to be a part of this wonderful show. You'll find us in booth #927. 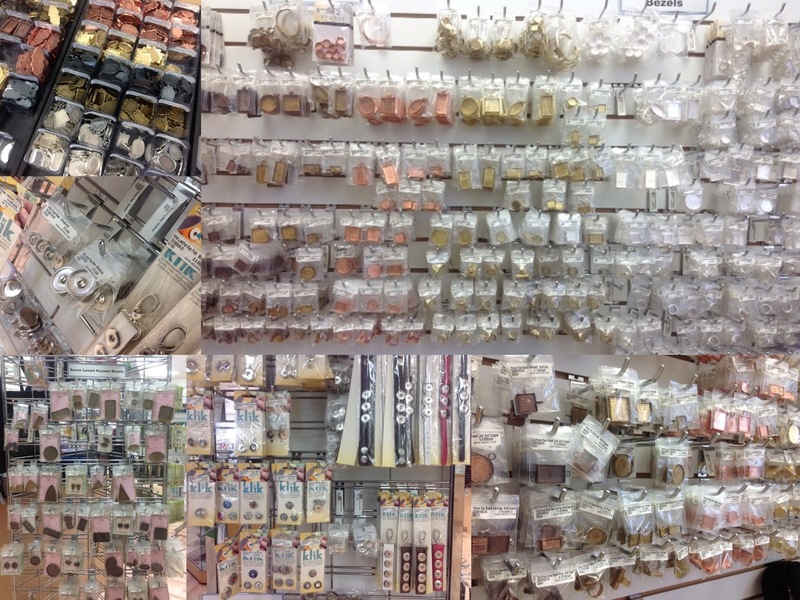 We will have a wide selection of beads, findings, wire, fibre plus and much more to fill our large 20' x 20' aisle end booth. Please note that the show now runs Thursday to Saturday and this year will be in the North Building of the MTCC. 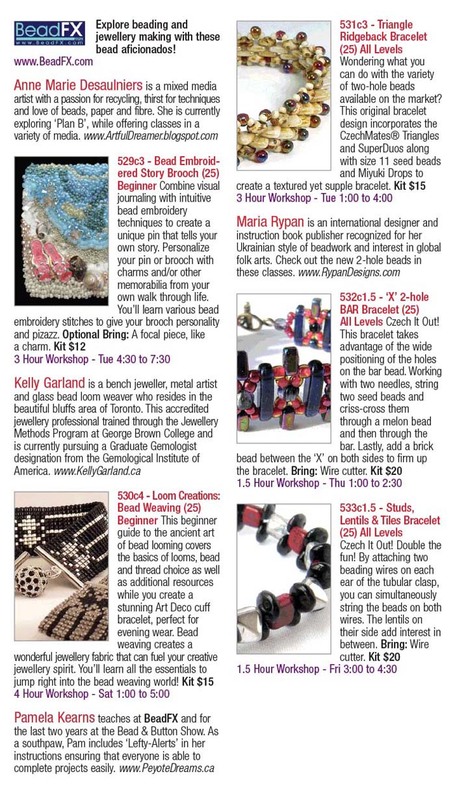 In addition to having the booth, BeadFX is holding five classes with instructors Anne Marie Desaulniers, Kelly Garland, Pamela Kearns and Maria Rypan. We will also have several demonstrations on the Show Floor. Please note: registration for classes is through CreativFestival. Where have all the necklaces gone? I don't feel fully dressed until I've hung something around my neck. When I look around at people on the street, I'm heartened to see the "naked neck" trend that celebrity stylists are trying to launch hasn't reached people in the every day world. There are men and women who wear the same necklace every day: maybe they never take it off. 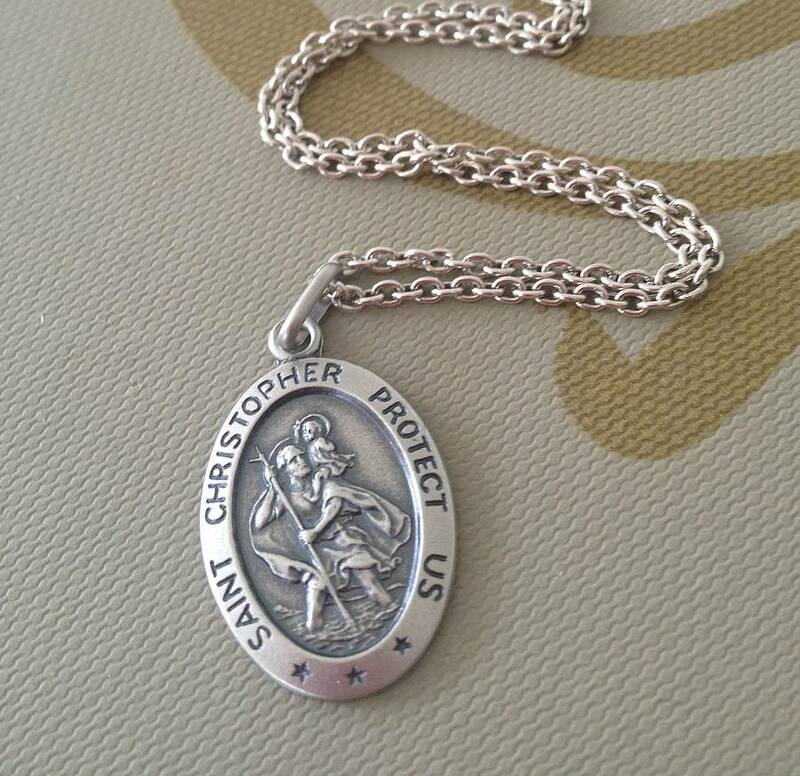 Often religious medallions, rings, family heirlooms, tokens from loved ones or identification tags, they are as much a part of the person as their fingers and toes. They either define or defend the wearer. Then there are the necklaces that we wear because they remind us of a person, place or time in our life. I just fixed a necklace for my friend Laura that she bought in the Marais in Paris when we were on an adventure there almost 10 years ago. As soon as she handed it to me I recognized it and it took me back to the day we spent window shopping (leche-vitrine) and having tea. She was thrilled to have it back in her necklace "rotation" again as it is a favourite. 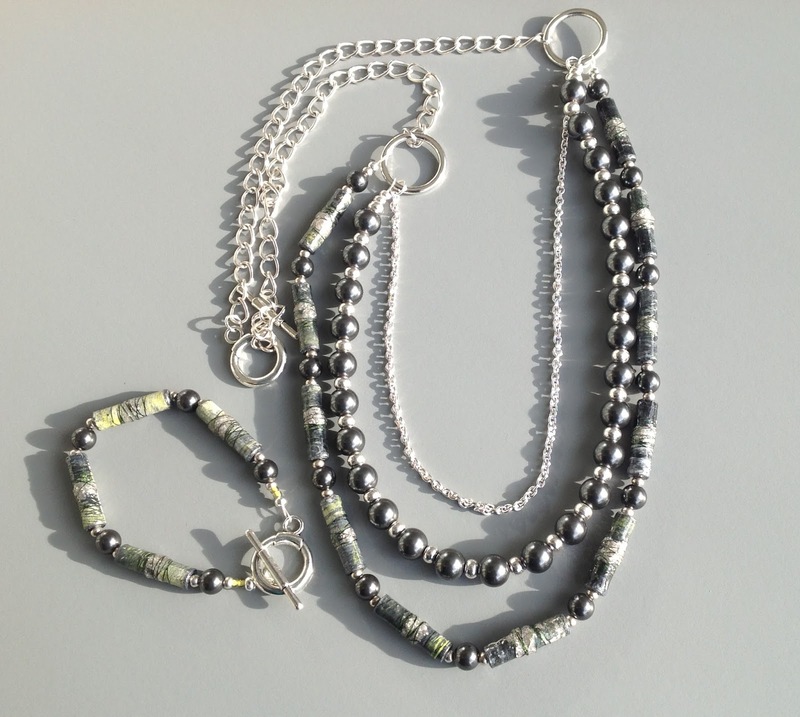 Many of us get into making jewellery because it allows us to customize the materials, length, pattern and colour of a necklace to reflect our unique personality and perspective as well as complement what we're wearing that day. These necklaces can be cheap, cheerful and quick to make, and follow fads. They can end up at the bottom of your jewellery box eventually or as components in a bag for eventual upcycling and a new life. Here's something I recently made from inexpensive Tropical Punch components as part of a blog hop, and it totally defines something made for short-term fun and not as a family heirloom. Statement pieces. These necklaces are kept for special occasions or outfits and often cost a lot to buy or make. But they are worth it because they are attention grabbers. We have come to expect statement necklaces from the rich, famous and beautiful on the Red Carpet. I do hope they return soon! Here's one I recently made that is big, bold and one of a kind, featuring gorgeous raku components by Marianne Kasparian and viking knit. Well, I will soon be off on a new adventure, as I'm attending Bijoux Souvenirs Deux in France this October. It's a jewellery artist's retreat where we will search the flea markets for materials and inspiration to incorporate into our work. Wire, metal, resin, paper, plastic, anything and everything will find its way into multimedia creations during the week. I can't wait to go, and I can't wait to share with you my experiences and, of course, my finished necklaces. Some might be just fads to match an outfit. I suspect I'll create a statement necklace too, though, and perhaps I will make or buy keepsakes to remind me of this once in a lifetime trip. The Business Chat - How to get repeat customers. Your best customers don't buy once, they buy as often as they can because they can't get enough of your work. They come back weekly, monthly, and every single time you release something new. Making a second sale to a customer is so much easier than a first sale because they already know you. You’ve established trust and begun a relationship. But how do you get them to keep coming back? Besides the obvious fact of creating a product that is made with your best customer in mind, have you tried asking? When someone buys something from you, do you end your copy with 'Please come again?' That simple request can spark a reminder in their mind that confirms the feeling they already have to come back for more. When you make a sale online you should always send an “it’s shipped” email. Make sure in this email you include a request to shop again or spread the word. It’s common (but not required) to offer an incentive to return, maybe a coupon for free shipping on their next order, or a small discount. Or, better yet, do you ask your customers to tell their friends and family about you? When you post a new photo on social media, ask your followers to share. When you send an email in your signature line make a suggestion like, “spread the word about me, tell your friends”. Make sure your newsletter has a Forward to a Friend option. Sometimes it's the simplest things in the world that brings about the greatest results. Loyal customers love your work, they’re happy to help you. You just have to tell them what you want them to do. It may be the final week of summer, but you don't have to change over your wardrobe just yet! The sun is shining and it is a balmy 25º so celebrate with this fun and vibrant bracelet. Quick to assemble and light on your wrist, you do not want to miss out on the last burst of sun!! 1. Start by cutting two 7 to 8 inch pieces of chain, making sure they are the exact same length. I found deciding on the length to be tricky. I cut 6.75 inches of chain and with the clasp it turned out to be just under 7 inches. The chain shortens as you bind it to the polyester cord. You may want to start out with the chains a bit longer and cut them down if they are too long. If it turns out a bit too short you can always add an extra jumpring or two when attaching the clasp. 2. Cut the polyester cord to a length that is a bit longer than you want it. You can always trim it down but you can't grow it back! Then using the beading thread, bind one end of each of the smaller cords to either side of the polyester cord. Wrap the thread about 5 or 6 times very tightly so as to compress it and tie it off a few times. Trim the thread and also the end of the cords if needed. 3. Put a few drops of super new glue into an end cap and insert the bound end of the cords quickly, before the glue starts to get sticky. If you're not comfortable using super glue feel free to try any glue that sticks to both fabric and metal. I chose super glue so that it would soak through all of the layers of cord. 4. Lay the two pieces of chain on either side of the cords. Wrap the thinner cords alternately through the links of the chain. You can do this any way you like, really. I did this one cord at a time. 5. When you reach the end, bind the cord tightly with beading thread, trim and glue into the end cap. 6. 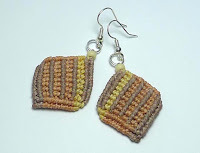 Use jumprings to attach to the clasp and enjoy! This design would also be great in other seasonal colours! Strong beading thread about 3 feet. I used 8 lb fireline but nm or c-lon thread will do. And we are shipping them out! In fact - the shipping department is hogging them and I haven't been able to replace the "Artist's Impression" photos with real photos for more than just a few of them. But the ones I did get to handle ... wowsers. I love this Scarabaeus Green Pearl. It absolutely looks like those electric green beetles. On these bicones, the colour is not such a pure green - with blues and purples as well - and the base crystal colour looks almost like a pure neutral grey. Can't tell if that is it's actual colour or just a reflection from the back of the coating. These Rivoli Drops have a purer colour - the green shading to aqua - without the purple notes. Can you imagine an entire dress covered in these, like dragon scales. I still haven't gotten an eyeful of the Light Chrome yet. If YOU would like to get an eyeful - or even a handful - of these babies for your very-own-self - then why not slide on by the store this coming Sunday (Sep 20, 3 p.m.-ish) and see them in person, along with Live Demos presented by a Swarovski representative. 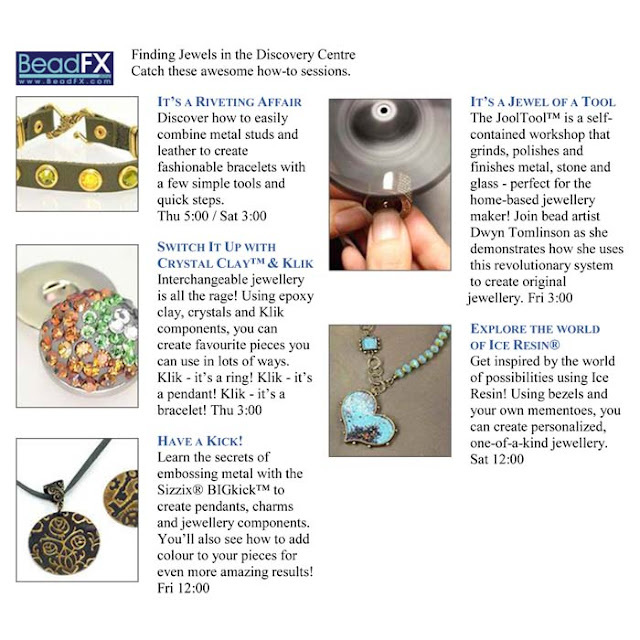 We will be hosting the official Swarovski Launch Party here at BeadFX on Sunday - there will be coffee, demos, door-prizes, all open to the public. In addition - we will be hosting the traditional Swarovski invitation-only presentation - featuring the inside scoop on the design philosophy and the trends that Swarovski is currently setting. A little birdie tells me that there might even be room for one or two more in this exclusive presentation, if you want to fire a quick email to pam@beadfx.com (by 5 pm Friday) and see if she can squeeze you in. First come, first served though! However - that isn't this week's new stuff! The new stuff this week are 56 new colours of Half-Tilas! That has more than doubled the selection! (Ooops - that means we now have more half-Tilas than full Tilas! I guess we'd better do something about that!) 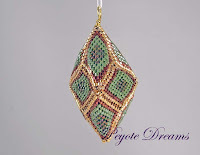 So if you were looking for more colours here for your bead weaving projects, here you go! The Business Chat - Sale! Discount! Bargain! Super Search! Orange you glad I did this?